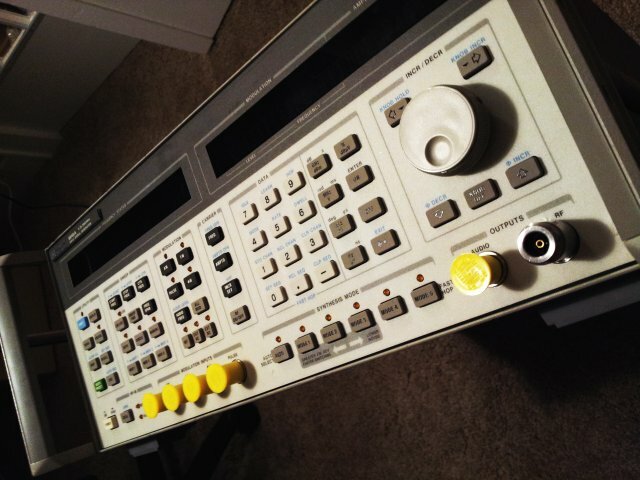 Always a good idea to back-up the EPROMs of dated test equipment – rarely they fail, but very tough to fix, at least, if it is a less-popular unit. The 5372A is definitely less popular. 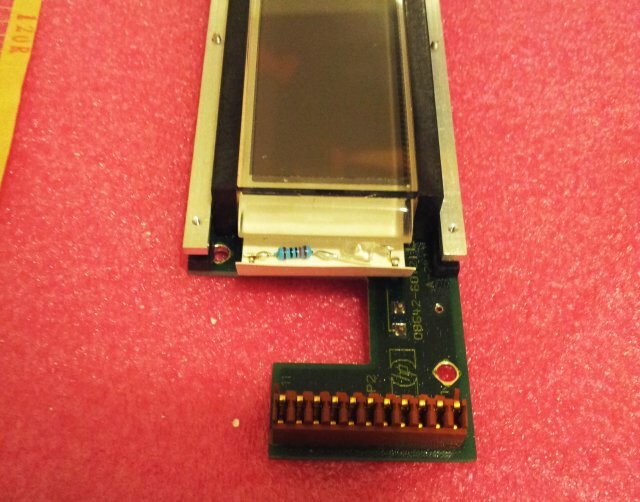 Let’s make at least the EPROM images publicly available, I hope HP doesn’t mind! 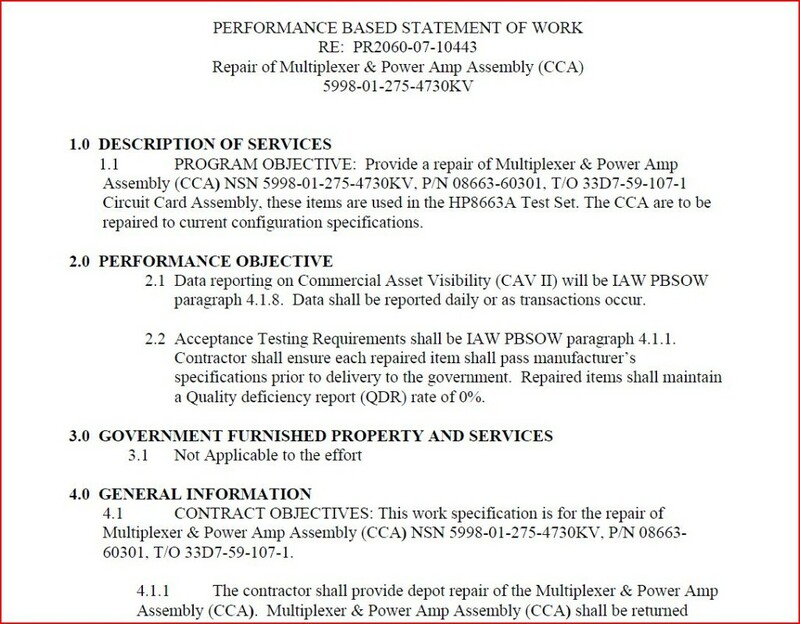 There are 8 EPROMs: 4 pcs 128Kx8 HP p/n 1818-4060, and 4 pcs 512Kx8 HP p/n 1818-3825 (equivalent 27C512). 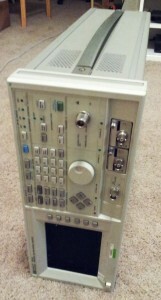 For most precise time interval counting, I use a trusty HP 5370A, which has no less than 20 ps single-shot resolution. 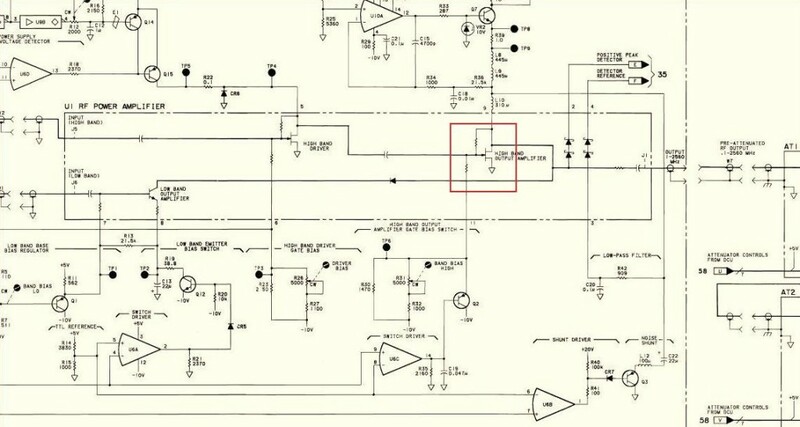 The 5370A and its inner workings could be discussed for hours (well, pages) here, but this is not the topic of this entry. 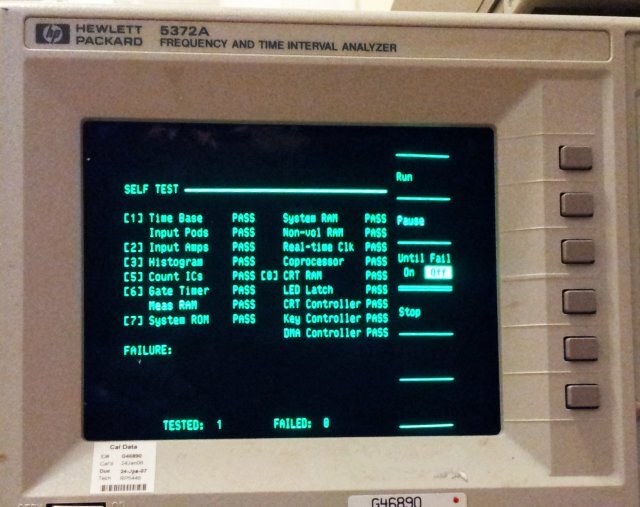 This is about the 5372A, a much more modern machine – it still measures time intervals, but has a pretty capable build in numerical analyzer. 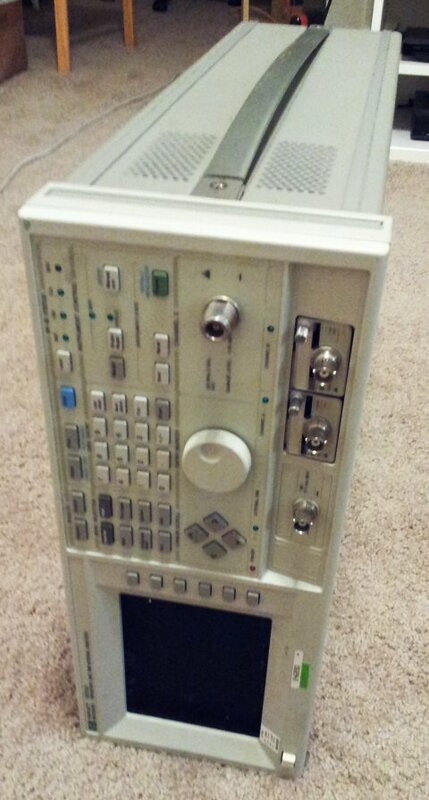 It has a CRT, excellent quality, magnetic deflection, and this provides a nice and sharp green display. 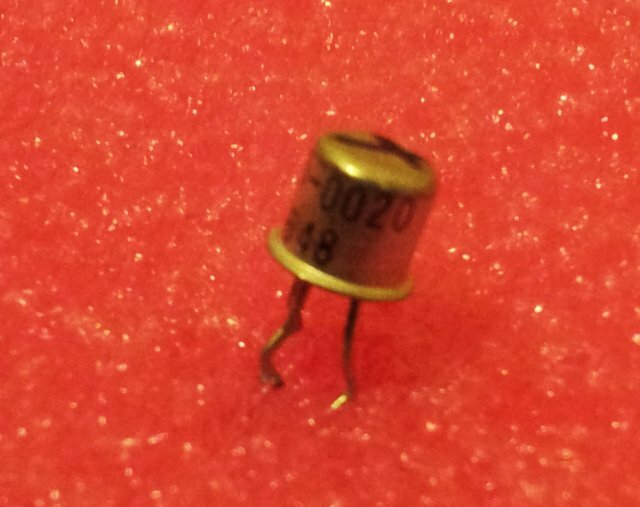 It doesnt’t add much weight, because the 5372A is massively heavy anyway, due to all the shielding, and a huge linear transformer. 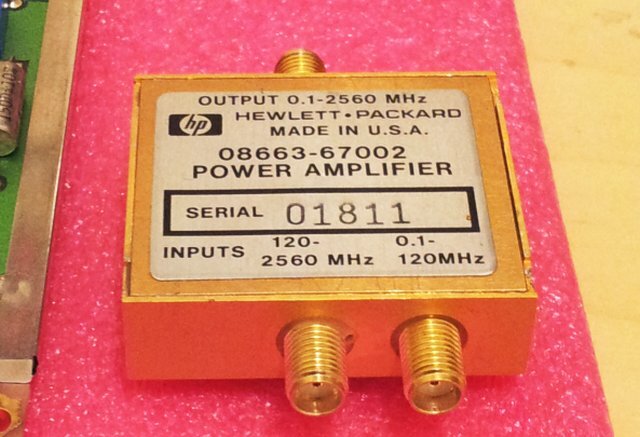 Why did HP use a linear transformer? No idea! 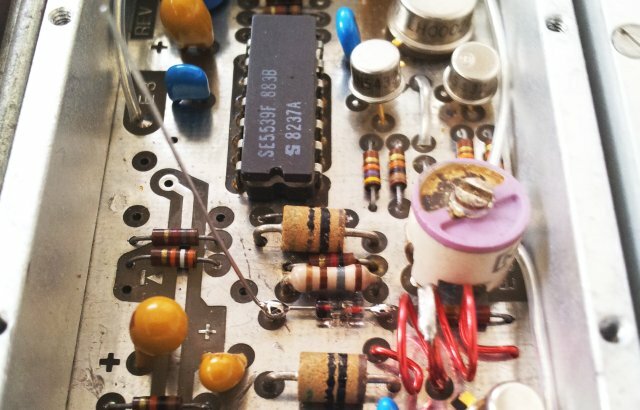 Even the most quiet synthesizers can run with some kind of high quality switchmode supplies. Well, in the end, these machines are not build to be carried around but rest, or work, in an adequately thermostated metrology lab. 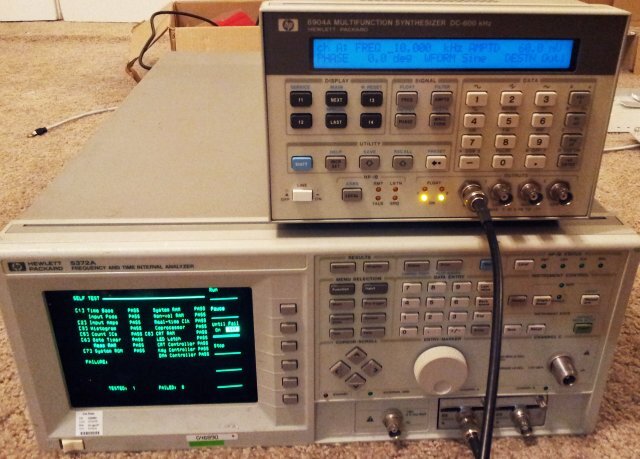 The 5372A has some very useful functions, not available for many other counters, unless you spent a lot of time developing your on software, work via GPIB; the 5372A can do virtually all of the most exotic tests, just with the single box. 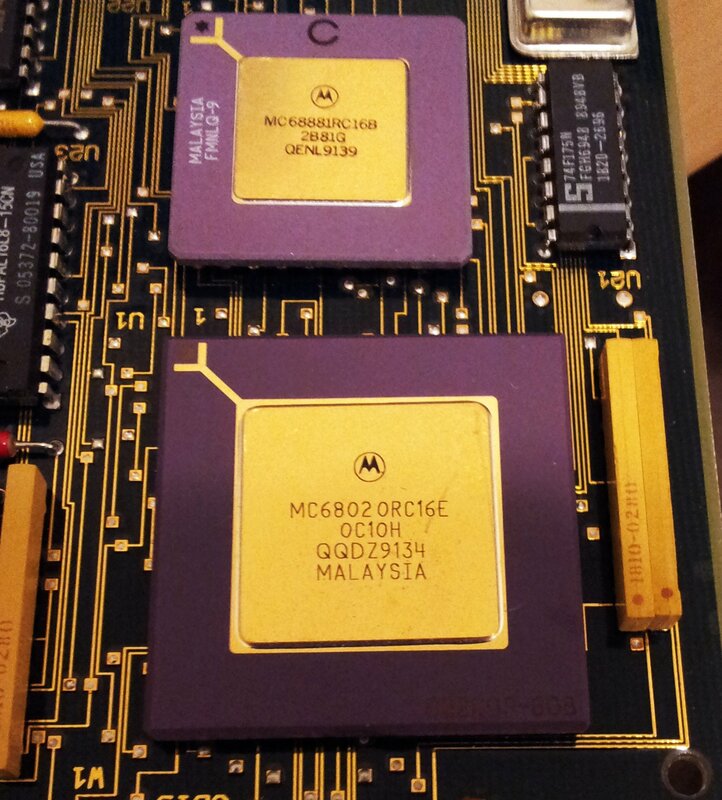 That’s the main CPU, a MC68020 (the first real 32 bit processor ever!!! 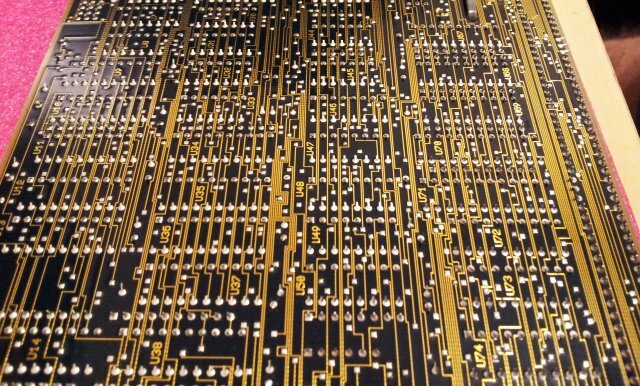 ), and a floating point co-processor, MC68881, and a lot of traces that let the bits flow around. This one, managed to get it for very little money, with the build-in precision HP 10811 reference OCXO already worth 100, used. And it even has the very desirable Option 030, 2 GHz input. 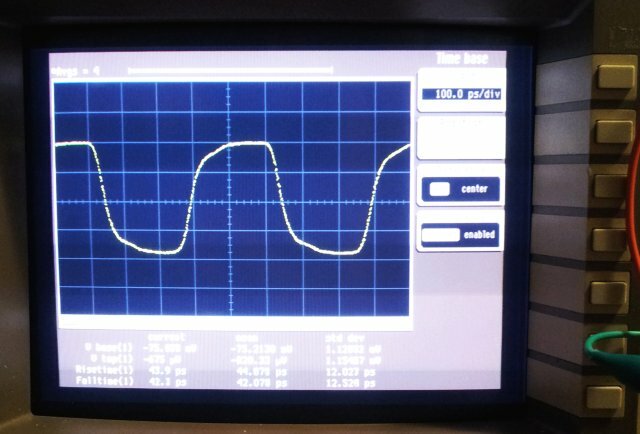 Ideal for measuring locking processes of PLLs (via a triggered frequency vs. time display – shown directly on the screen, as a diagram/graph! ), etc. 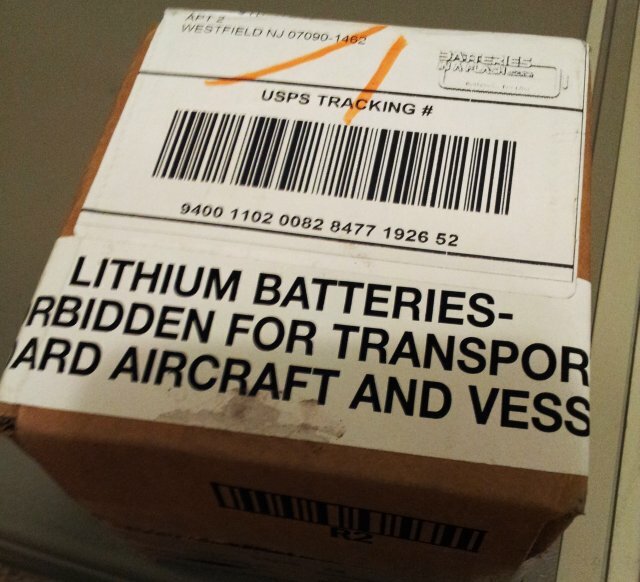 (1) It is extremely heavy, and does not ship well, unless it is packages with utmost care. 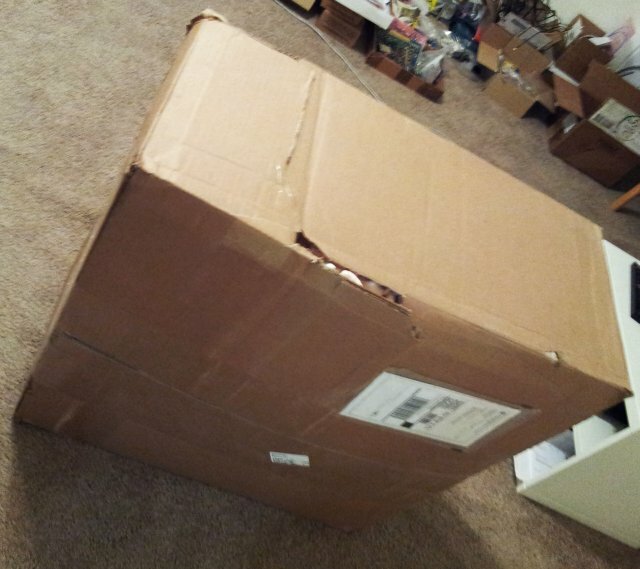 My unit arrived in a big box, and barely made it – don’t even consider international shipment without a lot of bubble wrap, heavy foam, and double-boxes. You can see the box already damaged; and there was just a single layer of bubble wrap; but I was lucky, the machine survived. (2) Second item, never get desperate about the “160 out of sens cal error”. 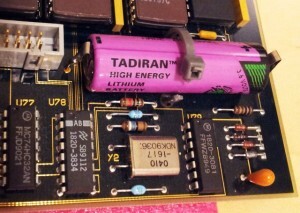 This error is well-known for these units, and the 5373A, and its 99% cause is a dead lithium battery on the CPU board. 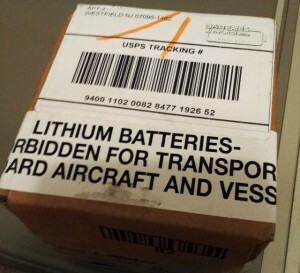 Just replace the battery, and follow the instructions to calibrate. 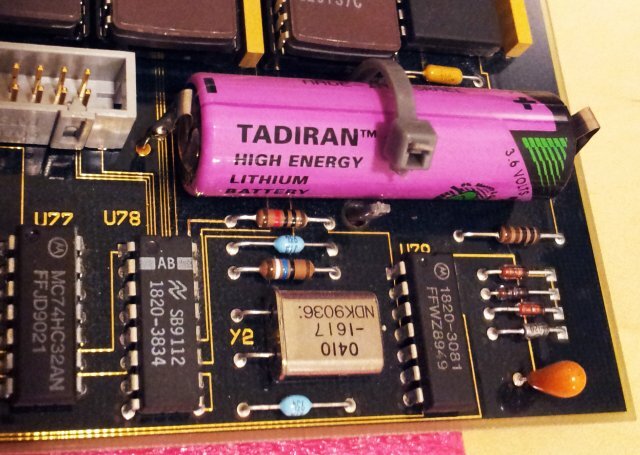 These are the main parts: a spare AA Li-SOCl2 cell, the CPU board with the dead battery (Tadiran is a really good quality Li-SOCl2 cell). 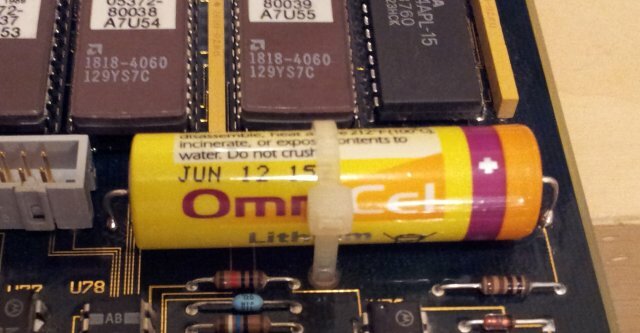 And the new battery fitted (of presumably lesser, OmniCell, Made in China; but will be fine). 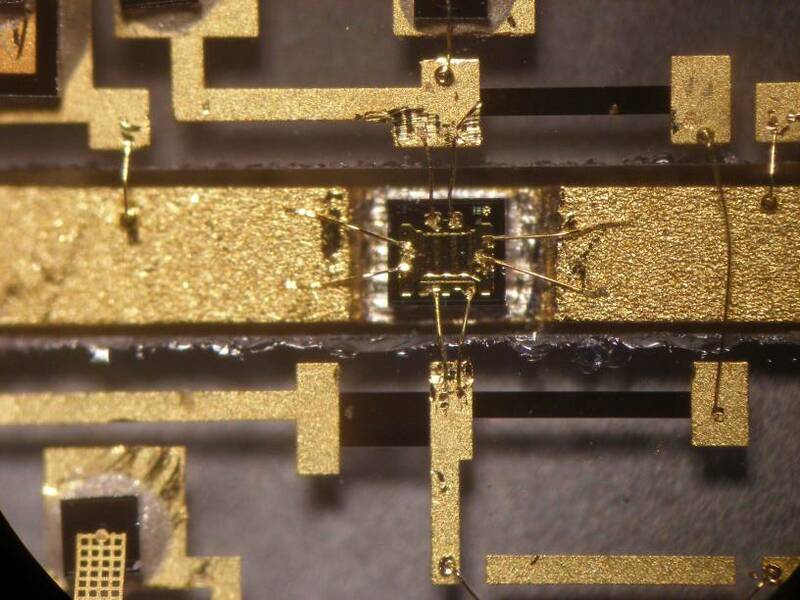 Note that this cell had been changed before, and some solder spilled!! It seems, it didn’t kill the board, but it is removed now. 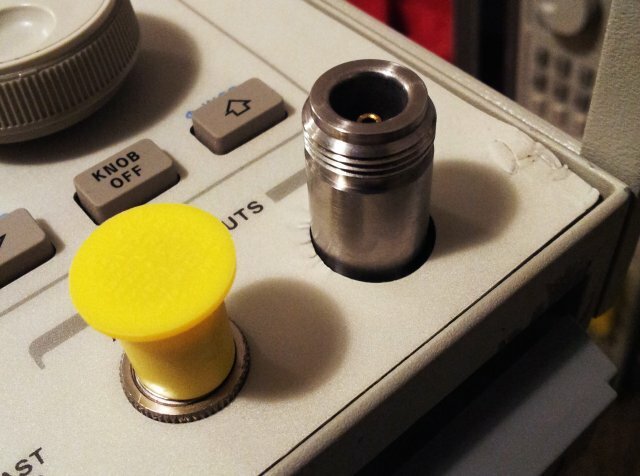 With the calibration done – no error displayed any more. More detail testing will follow, but according to the self test, all is fine! 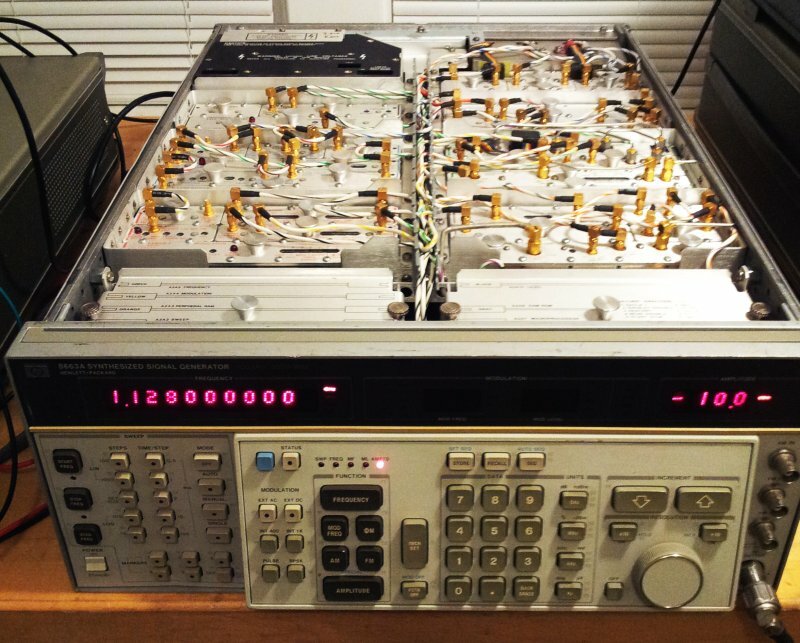 ADCMP580 Ultrafast Comparator: it’s really fast!! 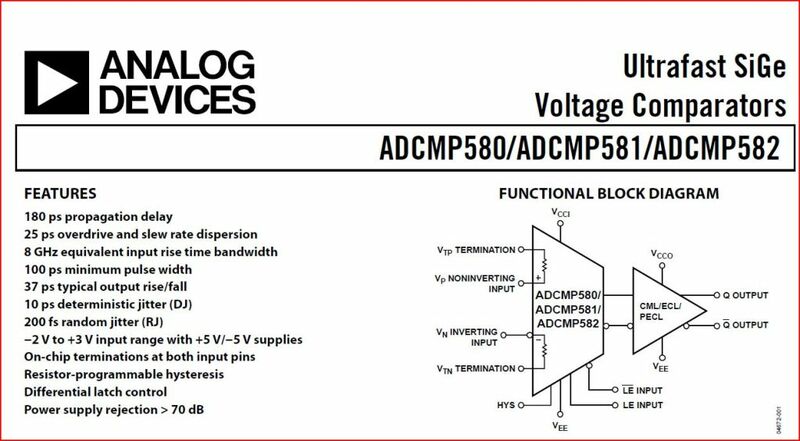 Some experiments with a tiny part that has remarkable qualities: the Analog Devices ADCMP580. 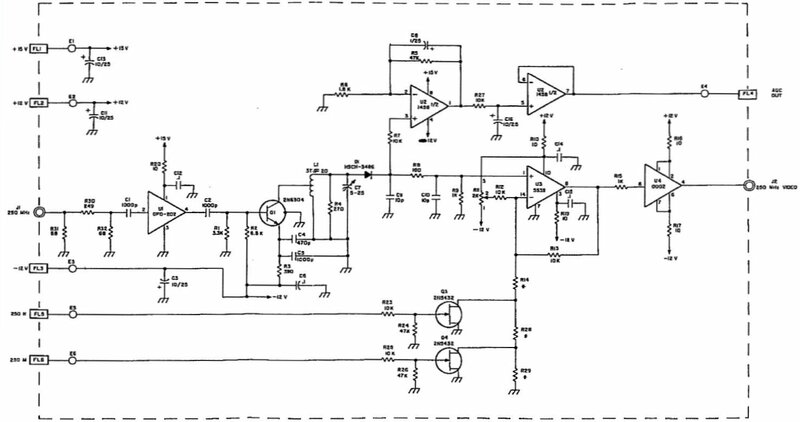 It is a comparator, and a very fast one indeed, based on a SiGe semiconductor. 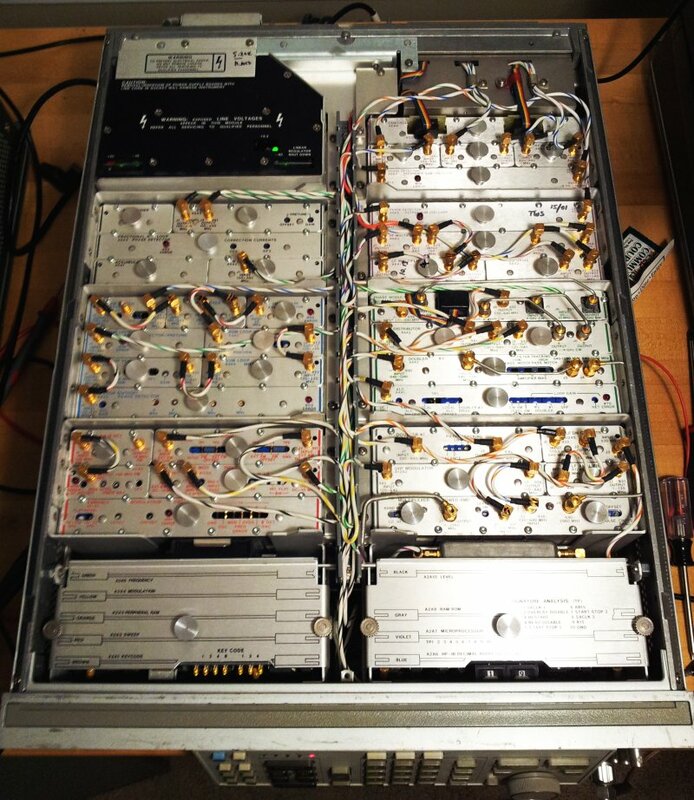 Its features are true extraordinary – everything specified in GHz and picoseconds. 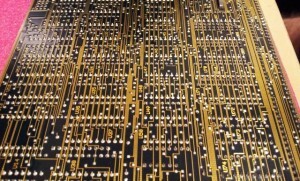 This test board was constructed by first soldering thin wires to the chip, and then mounting it on a small piece of perf board, with some epoxy glue. 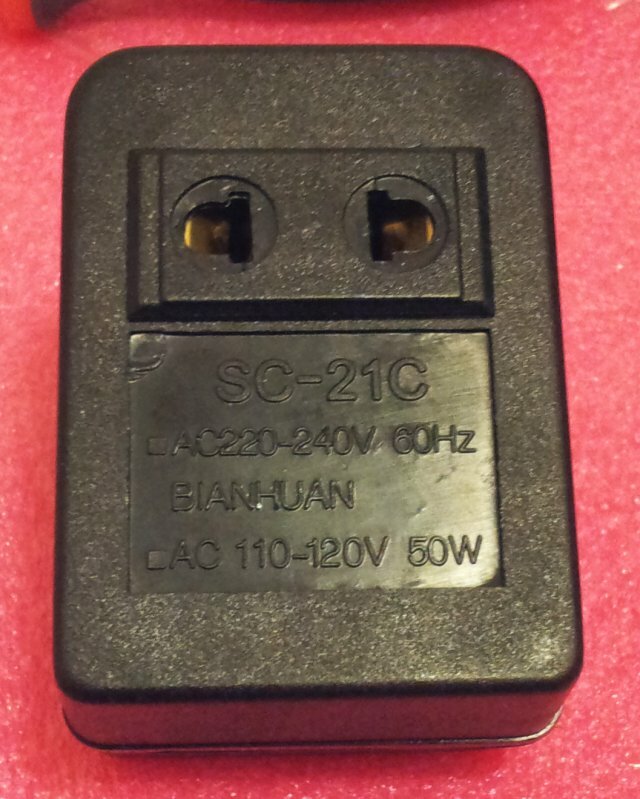 The output is wires, within less than 2 mm, to a (50 Ohm) SMA connector. Measuring the performance characteristics is not an easy task. 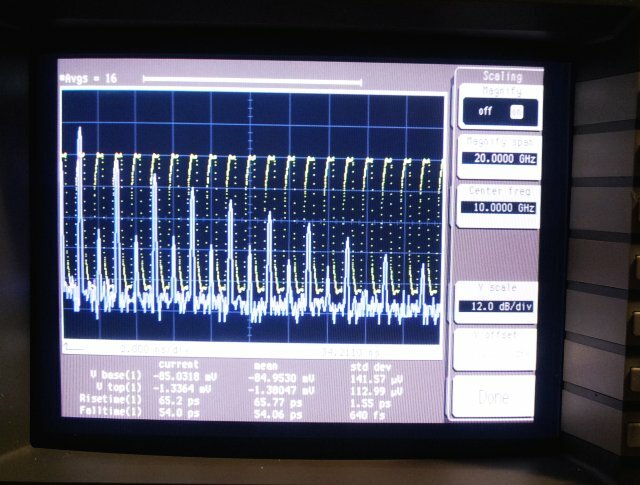 I used a 54750a sampling scope, with a 54751a 20 GHz bandwidth plug-in. 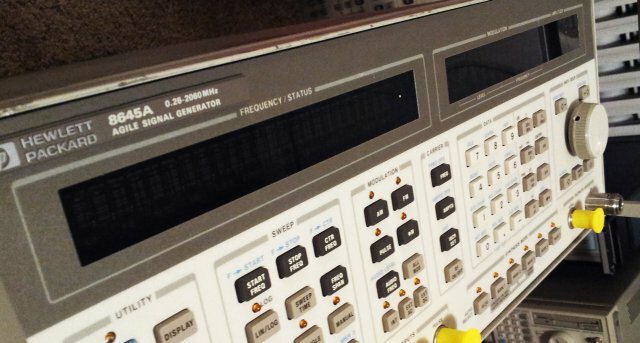 The comparator is fed by a 8642b signal generator, which is also used to trigger the 54751a plug-in. 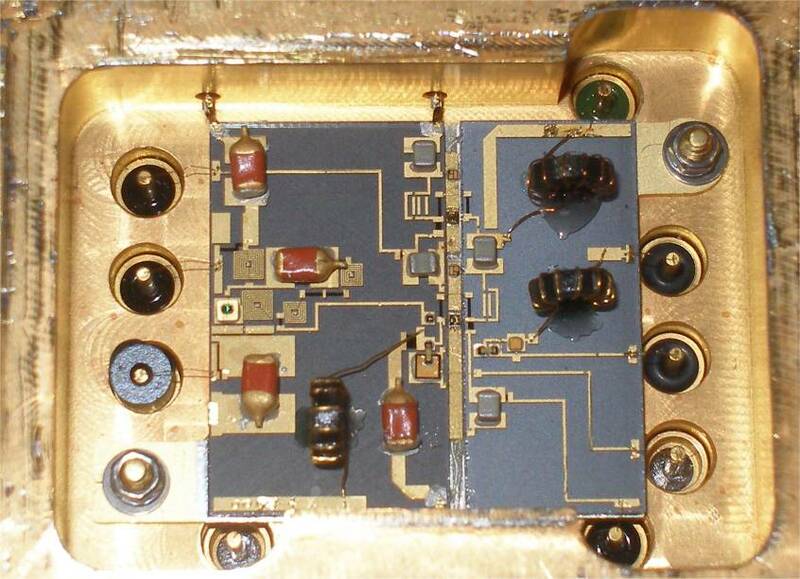 At the output, a 13.5 dB attenuator is used, at least for some of the tests, to get best output SWR (to avoid issues caused by reflected signals). 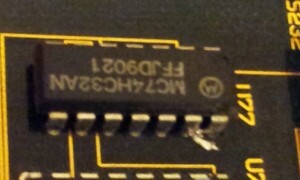 However, as it turns out, the 54751a has quite reasonable input SWR, and the connecters are better than it first seemed. So the attenuator can be left out. 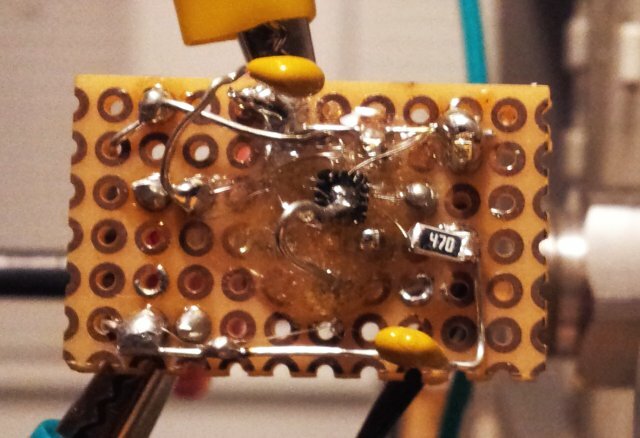 Still good to have some attenuators at the 54751a input, remember, this can only handle +-2 V, and no ESD! 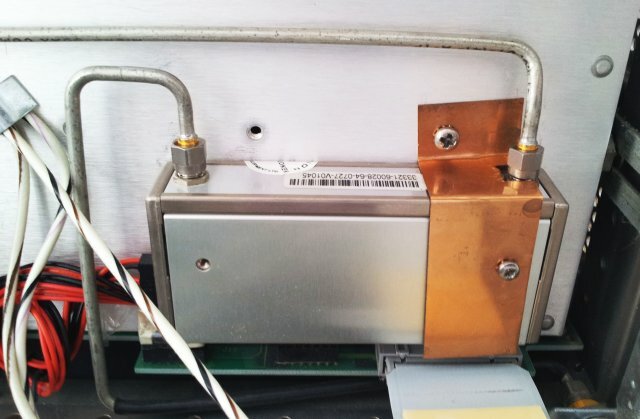 In these tests, “squaring up” a 500 MHz and 2 GHz (!) signal. Rise and fall time are about 50 ps, not bad at all for the simple construction. 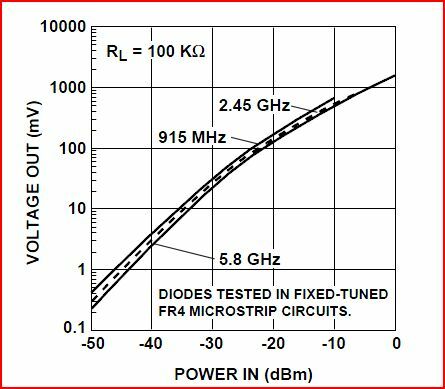 FFT shows bandwith to 10 GHz and up. Output power is also quite useful, 400 mV Vpp. Due to frequent requests – here are the configuration files for my LinuxCNC (EMC2) controlled mill and lathe. The mill is a 3-axis machine, with stepper motors and jog wheel (see earlier post). The lathe has 2 axis, stepper motors, and digital readouts. No feedback on the readouts, but they are great for highest precision work. Configuration files also include the setup for spindel-synchronized movement and spindle speed readout. I have run spindle-synchronized toolpaths for cutting regular and tapered threads with no issues at all, up to a few 100 RPM. The GUI (axis) is also configured for use with a little camera that is very handy to set the coordinates of the tools. Any questions, please ask. These files are meant as a source code collection for you to code your own HAL files, etc. ; if you need help with a particular configuration, feel free to contact me. Please consider that some fragments of the code might be copyrighted by others – however, I have modified it so many times that it is virtually impossible to trace back. My contribution to these HAL files: You can copy, modify, distribute and perform the work, even for commercial purposes, all without asking permission. The work may not be free of known copyright restrictions in all jurisdictions. Persons may have other rights in or related to the work, such as patent or trademark rights, and others may have rights in how the work is used. I make no warranties about the work, and disclaim liability for all uses of the work, to the fullest extent permitted by applicable law. 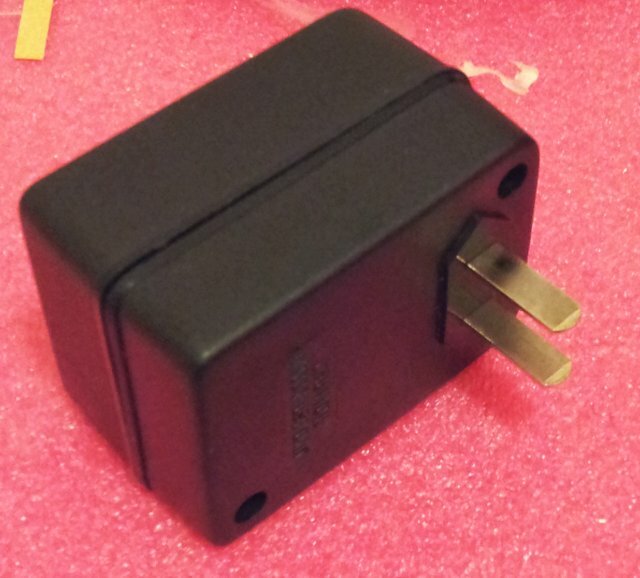 In interesting find, Made in China, a 50 Watt travel adapter. 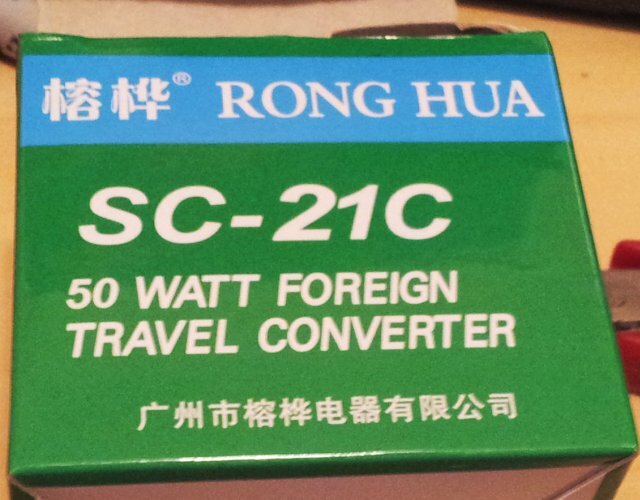 This is used to convert 220 V (despite the US plug!) to 110 V – same device also seems to exist for conversion from 110 to 220 V.
The build quality is exactly what you expect for less than USD 7. 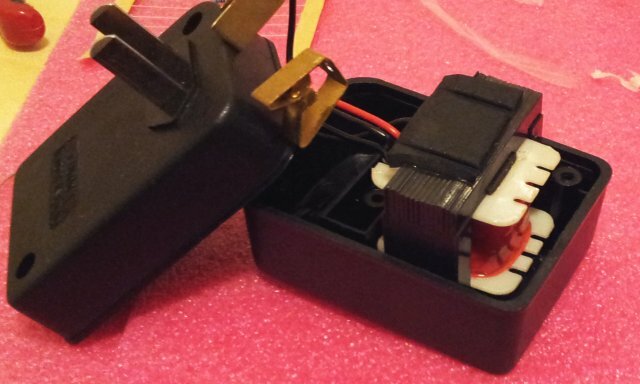 A crude plastic case, two screws, no protection circuits or fuses, and a rather small transformer. Total weight of the transformer – about 140 g.
Looking at some transformer tables, this is about 6-10 VA (=”Watt”, if you wish) nominal size. 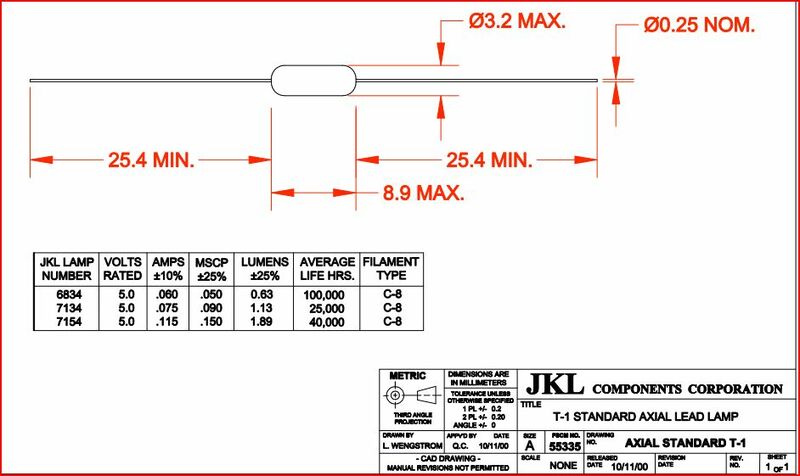 For autotransformers like this, the nominal size needs to be converted to the actual power rating, by using the conversion ratio (voltage ratio). P_nominal=P_actual*(1-voltageratio). 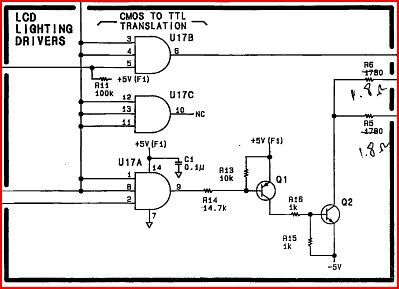 I.e., for a 220 to 110 Volts transformer, the ratio is 0.5, and a 10 VA nominal transformer can handle 20 VA if configured as an autotransformer. 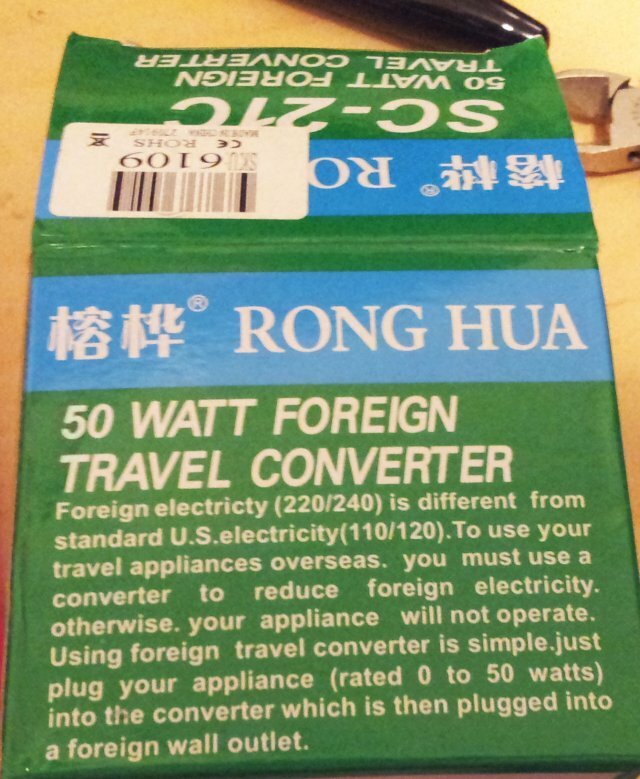 Quite obviously, 20 VA is not 50 VA – please use these these transformers with great caution, and only for really small appliances. Never leave it plugged in unattended, it might catch fire any time if overloaded, or if it fails! 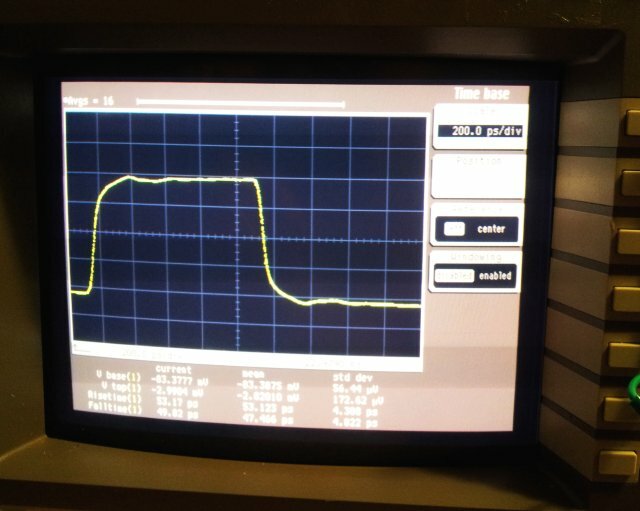 The 8642B is an excellent generator, very clean, at least at offsets >1 kHz, hard to beat. 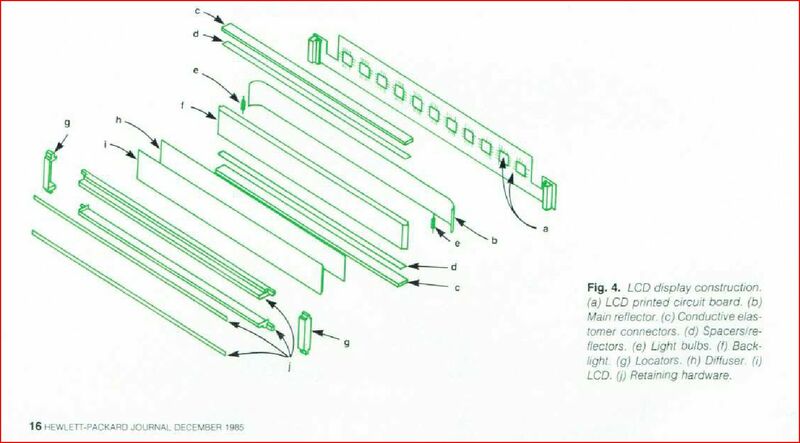 It is also very heavy, thanks to a special modular concept that HP was pushing at the time. 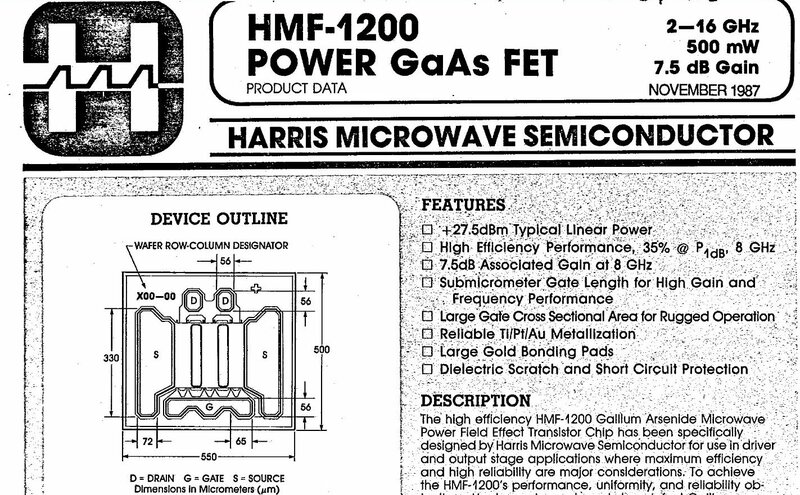 Their intention was to make the unit more serviceable, with the result that the generator is super heavy, and so expensive that it never was a real commercial success for HP. 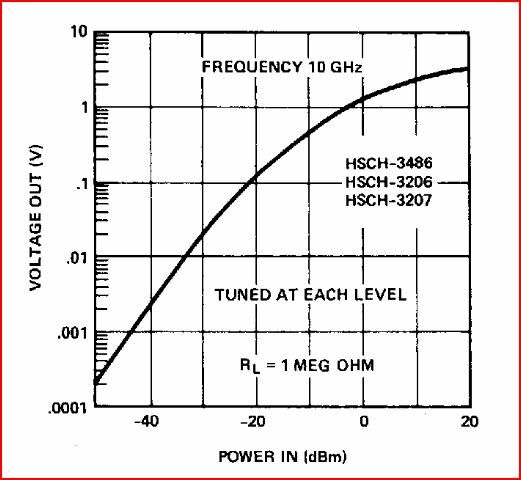 Frequency range is from below 100 kHz, to 2115 MHz. Pretty useful, with amplitudes from -140 dBm to 20 dBm. The generator has a rather large (for the time) LCD display – fully story can be found in the HP Journal, December 1985. 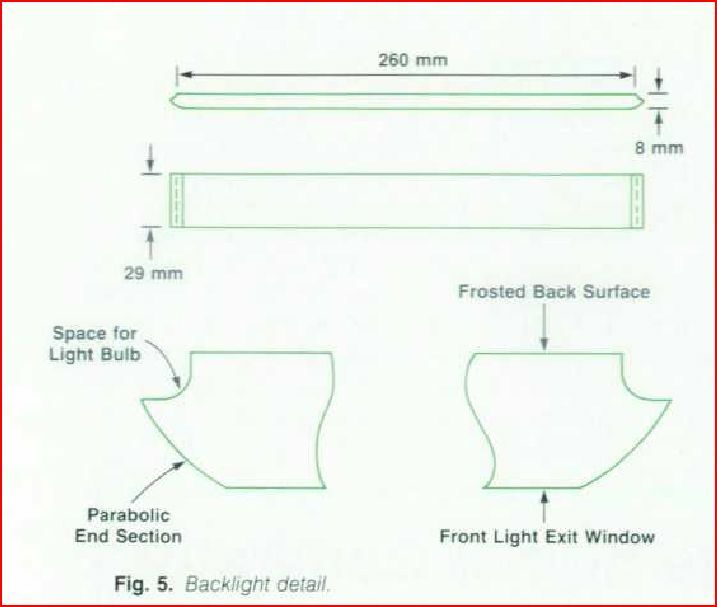 The backlight has a very thoroughly designed light diffusor, which directs light from two 5V axial bulbs evenly to the LCD. Sure enough, these bulbs can burn out. 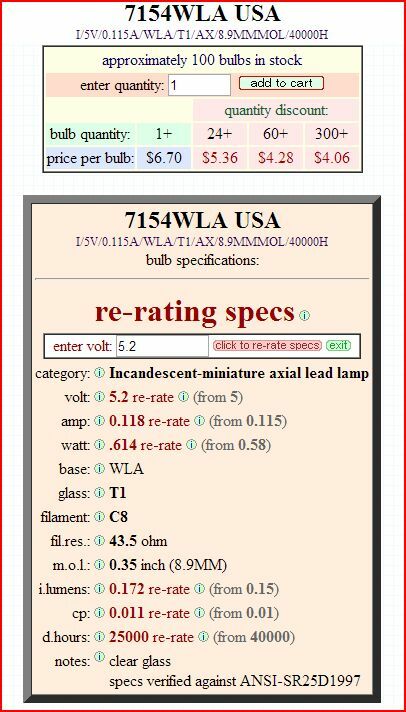 Some webpages claim that such bulbs would only last a few 100, maybe 1000s of hours, but such statements are incorrect. 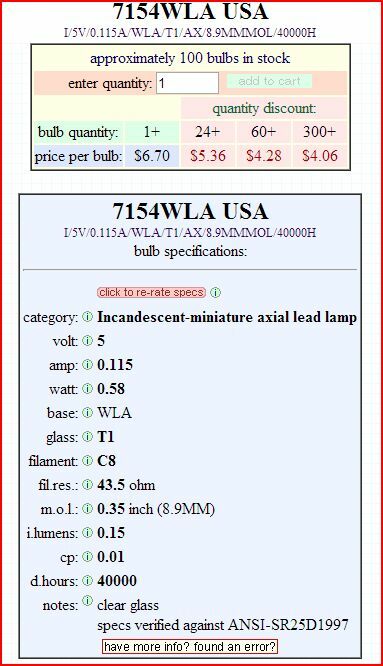 The bulbs used, 5 V, 115 mA, will typically last about 40000 hours, much longer than common household light bulbs. These little bulbs have 1.9 Lumen each, not bad. To replace with a LED, 14000 mcd, at 25 deg angle, are about 2.2 Lumen. Close enough. 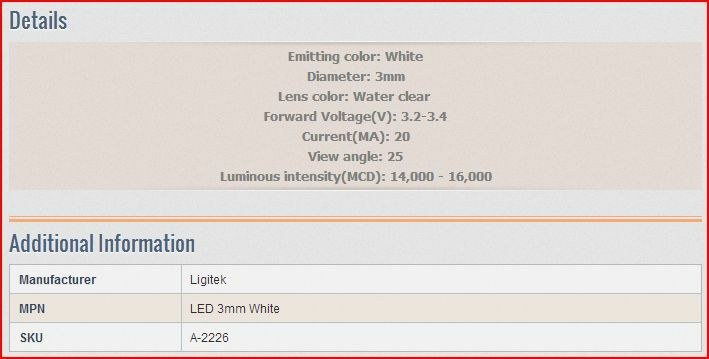 Also these won’t least forever, white LEDs do lose intensity over time, like, 50% remaining intensity after 20000 hours. 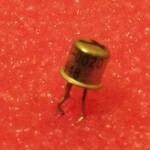 I decided to run them below the rated current, at about 16 mA (120 Ohm series resistor with 5.2 V supply). Maybe this will make them last a bit longer. 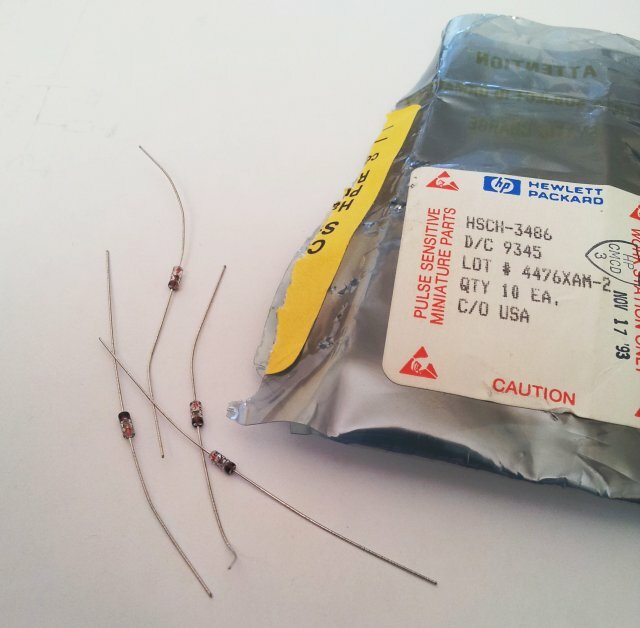 The resistors (1.8 Ohm) make sure that the lamps operate at 5.0 Volts, not 5.2 Volts, and don’t interfere with the operation of the LEDs. Quite amazingly, running at 5.2 V vs. 5.0 V would reduce the life span from 40000 hours, to 25000 hours! 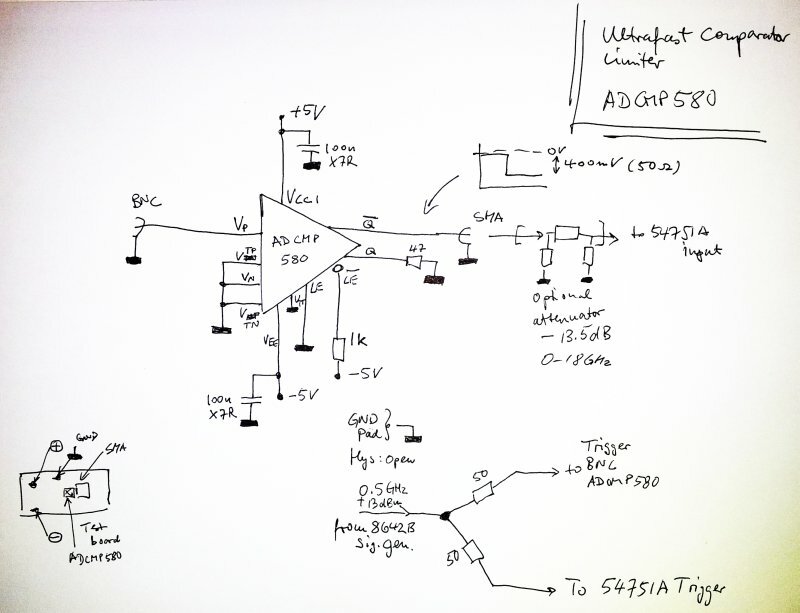 Agilent sold these bulbs for about USD 18 each!! No mechanical modification of the 8642B at all, the LED and the resistor fit well into the cavity (don’t worry about the lens of the LED – the light will find its way. – not to my full satisfaction (non-uniform brightness, looks a bit dark on the left hand side, albeit, very easy to read). 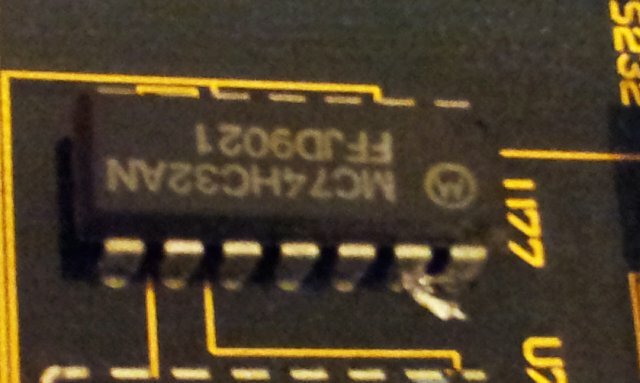 After a bit of head scratching – turns out I soldered in the left LED with incorrect polarity – so it can’t work. Now, let’s hope that these LEDs will last. Never mind, I have a bag of spares! 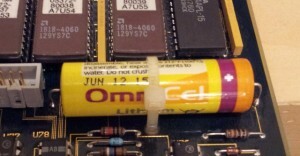 Note: the display assembly is said to be rather ESD sensitive. 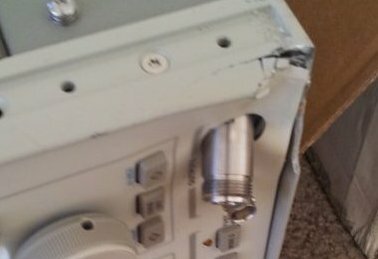 Make sure not to damage it!